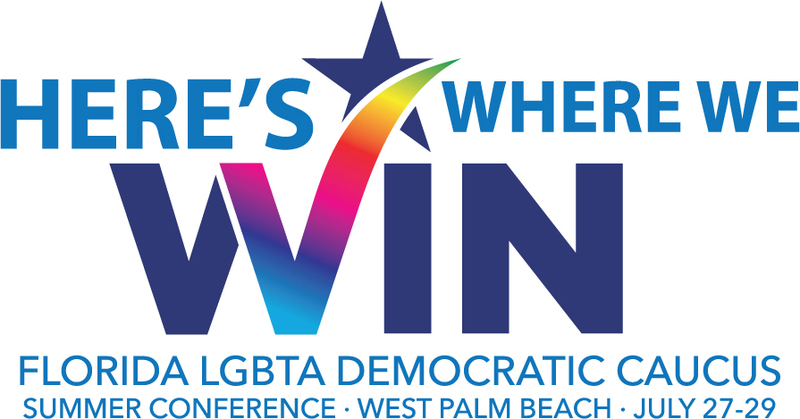 The Florida LGBTA Democratic Caucus, representing lesbian, gay, bisexual and transgender Democrats in Florida, presents its 2018 Summer Conference, July 27 through 29, at the Hilton Palm Beach Airport Hotel. Caucus conferences bring together a wide range of politically active Democrats to hear from state, local and national elected officials and candidates, party officials, allied activists, and issue experts for an invigorating and productive weekend. Our conferences receive statewide media coverage that underscores the experience and commitment our members bring to Florida politics. Register for the conference by clicking this link. Purchase your individual or table tickets to the Leadership Dinner online. We have a block of rooms available at the host hotel, the Hilton Palm Beach Airport Hotel, for $109 per night. Use this link to book your hotel room. Click this link to learn more about sponsorship and promotional opportunities during the conference. Join us as we prepare for victory in 2018! Additional event details will be announced as they become available.